‘Tis the season to batten down the hatches and settle in with your friends and family for some tasty food and delicious wine. 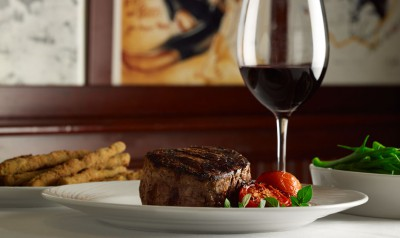 And if you’re looking to further enhance your gastronomical endeavours, pairing the right wine with the right food can take it to a whole new level. Have you always felt you didn’t know where to start other than ‘white with fish and red with meat’? Not a problem, we have a few simple tips for you to help with your wine choices to go with your food. Sparkling wines and light un-oaked whites start you off as an aperitif, go well with salty tapas and nibbles, soft cheeses and pair nicely with light fish and shellfish. 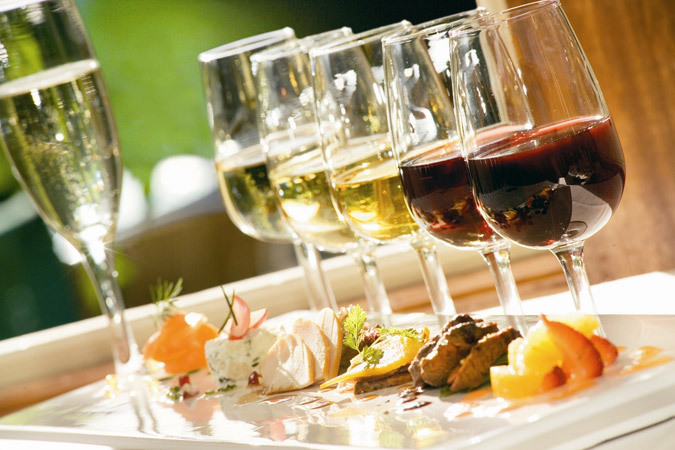 Most whites are high in acid, which is softened by anything salty, making the wine taste fruitier. They also go well with fatty foods. 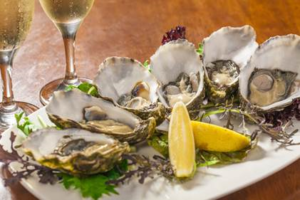 Try Champagne with oysters, smoked salmon or top quality green olives. Sauvignon Blanc is a heavenly pair to fresh goat’s cheese. Richer, fuller whites such as ripe oaky Chardonnays pair well with creamy soup starters, roast poultry and rich white fish. Viognier can be of similar richer style and due to its aromatics will go well with more spiced dishes. The key with any pairing is not to let wine or food overpower one another, so delicate wine with delicate flavours and richer wines with more robust dishes. Slightly sweeter aromatic wines, such as Gewurztraminer are beautiful with fragrant Asian dishes and can take a bit of chilly heat as well. 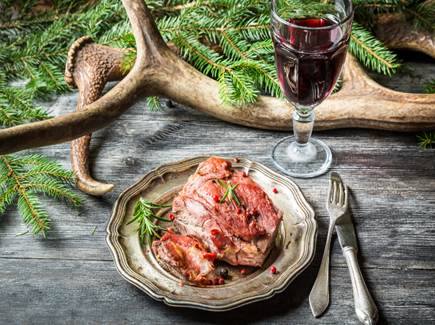 Light reds such as Pinot Noir, Beaujolais and Valpolicella can go well with roast poultry, game, tuna steaks and mushroom dishes. Also excellent with tomato based sauces. 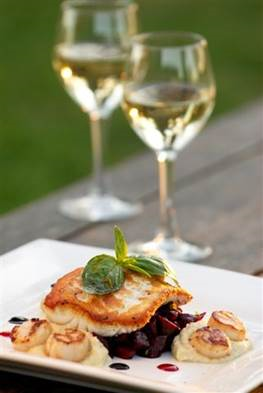 And again, a salty or acidic food pairing will tone down the wine’s acidity. Full-bodied tannic reds can take on the more robust red meat dishes and mature hard cheeses. The salt in this case will not only bring down the acids in the wine, but will also soften any high tannins. And finally, the sweet wines. Pair with either sweet foods or salty foods for an ‘opposites attract’ effect! 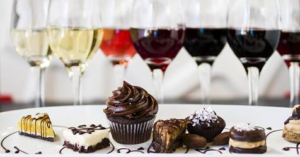 Lighter sweeties, such as Sauternes or any late harvest wines go well with crème brulee, fruit tarts and are heavenly with blue cheeses and pate. Richer, darker styles such as brown Muscats or Tawny Ports can take on chocolate and rich fruit puddings. PX Sherry is delicious poured over some Vanilla ice cream! Hope this helps you with your food and wine combinations and if you ever need any food pairing advice, please don’t hesitate to give us a shout! Bon Appetit!